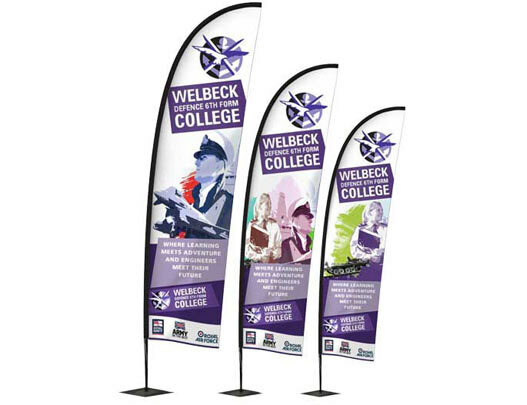 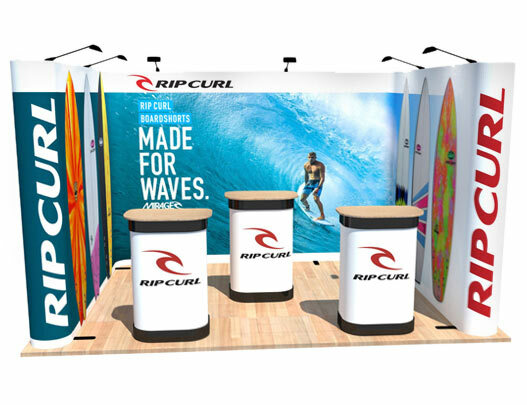 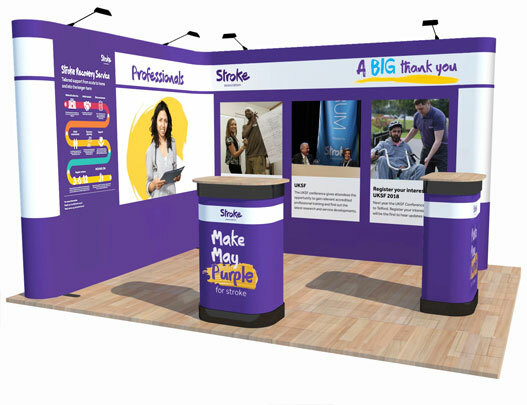 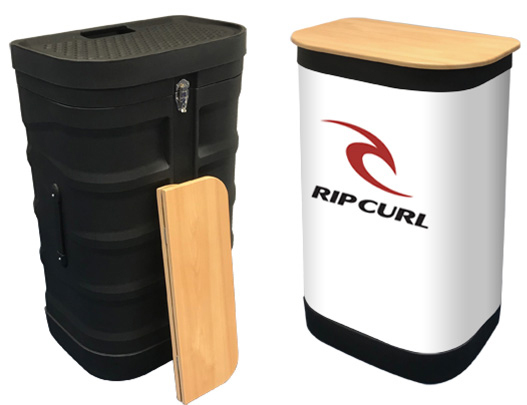 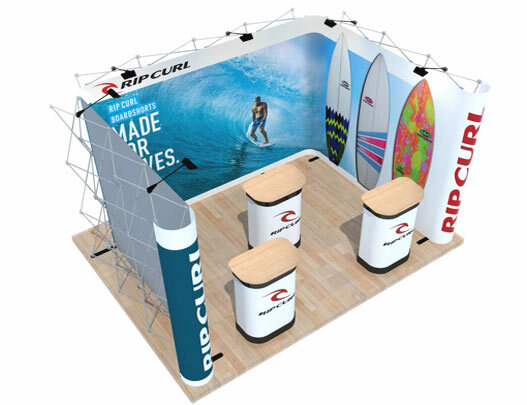 Kit I is a popular U-shaped popup stand combining three straight frames which are linked together flawlessly using full colour graphic panels. 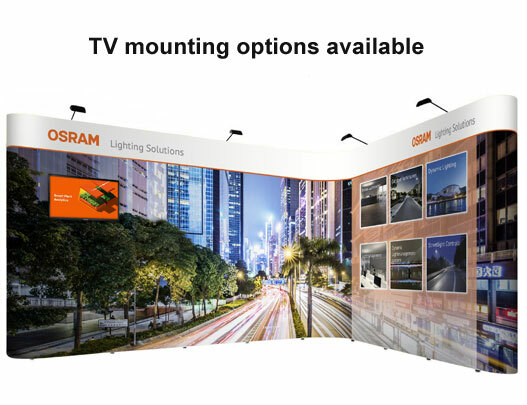 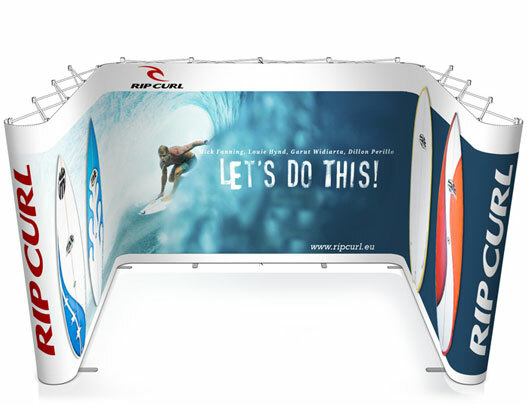 It covers three walls, the back wall and both sides and fits comfortably within a 4m x 3m booth. 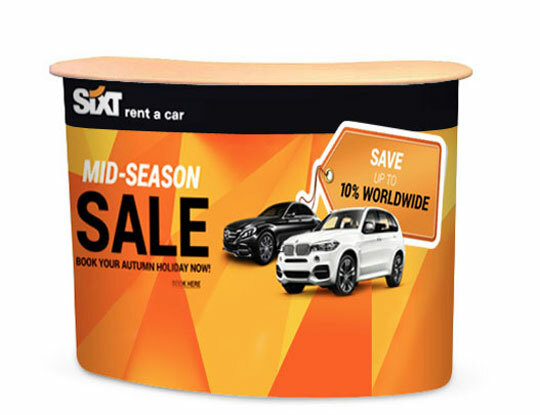 All the equipment is transported in three wheeled cases and weighs approx 88kg in total. 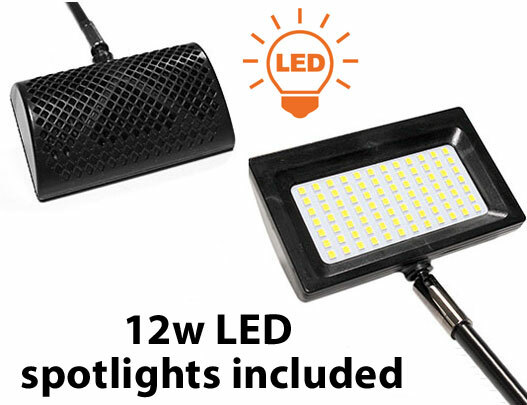 The package also includes stabilising feet, 6x LED spotlights and 2x case-to-counter conversion kits. 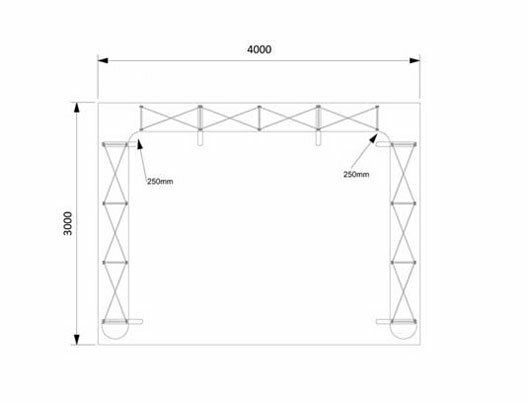 No set-up tools are required and it would take two people around 15 minutes to assemble from scratch.